Sun Basket meal kit service has one of the richest menus on the entire market. Paleo, vegetarian, diabetes-friendly, 20-minute, super-speedy, one-pan, allergen-free, family-friendly, you name it, it is all right there, waiting for you to choose, cook, and enjoy. Although all items on the menu feature tasty veg to add some crunch and valuable vitamins, it is always nice to have a salad on the side to enjoy with your dinner or as a separate meal. That is why in January 2019, Sun Basket launched healthy add-ons that include organic salads ready in a matter of minutes. Every week, Sun Basket patrons can choose from 4 organic salads, including spicy Southwestern salad, protein crunch salad, rainbow Asian salad, and kale Caesar salad. All of them are suitable for 2 people, they can be prepared in 5 minutes, and they are either vegetarian or vegan. If you are a carnivore or pescatarian, you can add some extra protein to your salad. Currently, Sun Basket offers salmon, chicken, and rib-eye as optional proteins. But that is not all. You can add even more nutrients to your order with the snack and sauce add-ons. 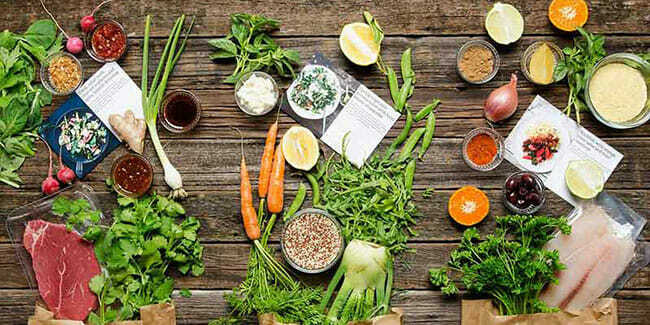 These include avocado hummus, spinach-artichoke dip, Greek feta dip, and arugula pesto, as well as organic veg like baby rainbow carrots, grape tomatoes, snap peas, and sweet mini peppers. These add-ons come in 6-12 oz. portions. 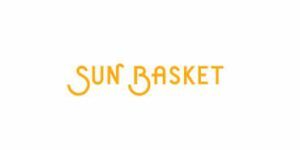 Sun Basket aims to offer as many customization options as possible and this is certainly a step in the right direction. With tasty, organic add-ons that require minimum prep, Sun Basket patrons can now enjoy wholesome food throughout the day with zero hassle and plenty of health benefits.